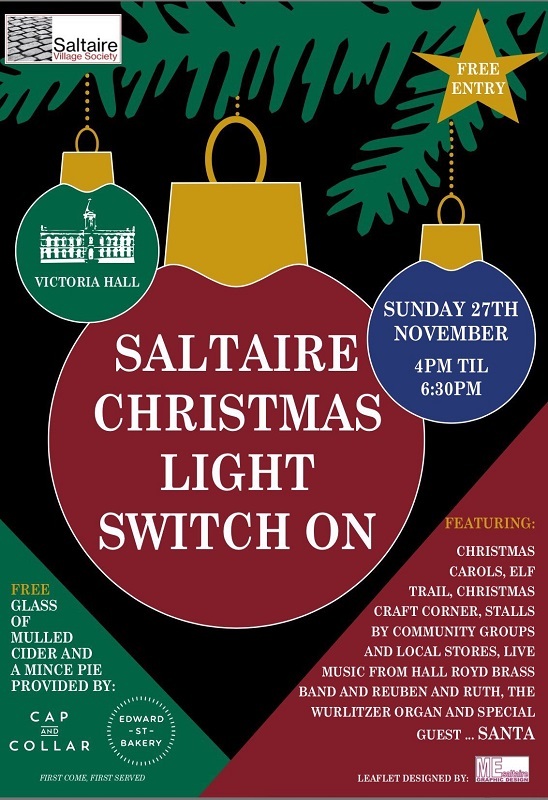 Featuring: Christmas carols, elf trail, Christmas craft corner, stalls by community groups and local stores, live music from Hall Royd Brass Band and Reuben and Ruth, the Wurlitzer organ and special guest... SANTA! FREE glass of mulled cider and a mince pie provided by Cap and Collar, and Edward Street Bakery. First come, first served. 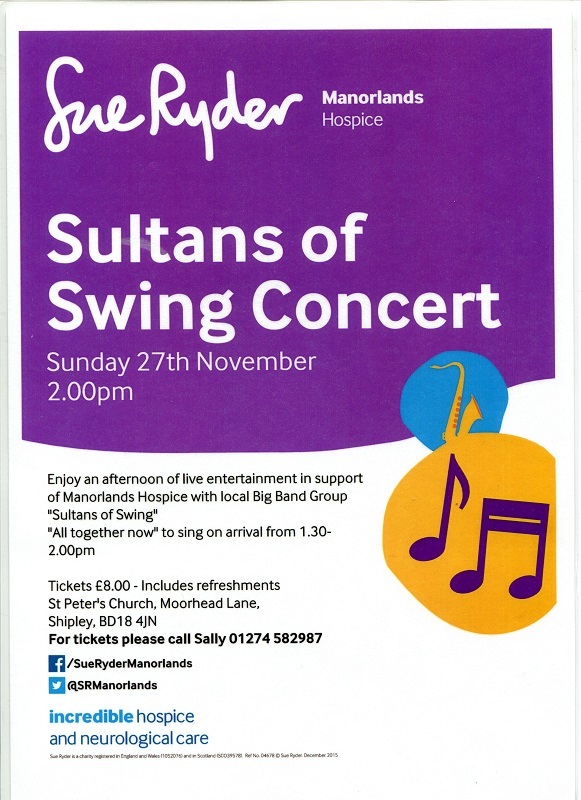 Enjoy an afternoon of live entertainment in support of Manorlands Hospice with local Big Band Group "Sultans of Swing"
You are invited to hear about Wellness Recovery Action Plans – a way to manage your life! 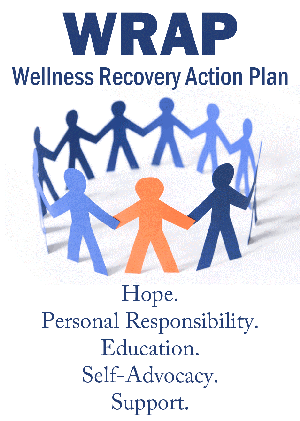 WRAP is a different approach to wellbeing, through individual action planning and support networks. WRAP helps people who want to make a positive change in the way they feel and perform. Hope, Personal Responsibility, Education, Self-advocacy and Support. WRAP is a weekly group where you develop a personal plan to recover and maintain physical, mental and emotional wellbeing. The eight sessions are followed by a fortnightly support groups. WRAP will be starting at Saltaire Medical Practice in January. 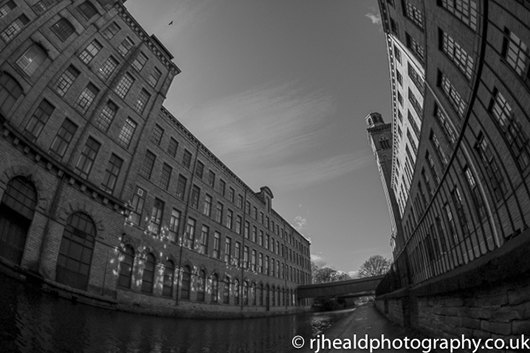 Richard Heald is a photographer based in Leeds with strong connections to Saltaire. His photographs in the exhibition include local shots of Kirkstall Abbey and Saltaire and also seascapes and abstract shots in London. Jonathan is a graphic artist who builds his works with pen and ink and water-colour and finishes with pastels or crayons. 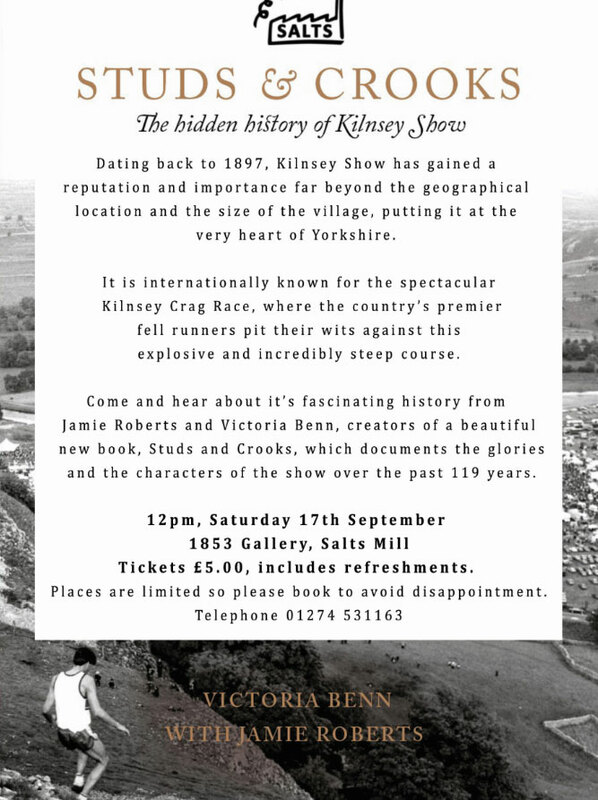 Dating back to 1897, Kilnsey Show has gained a reputation and importance far beyond the geographical location and the size of the village, putting it at the very heart of Yorkshire. It is internationally known for the spectacular Kilnsey Crag Race, where the country’s premier fell runners pit their wits against this explosive and incredibly steep course. Come and hear about its fascinating history from Jamie Roberts and Victoria Benn, creators of a beautiful new book, Studs and Crooks, which documents the glories and the characters of the show over the past 119 years. 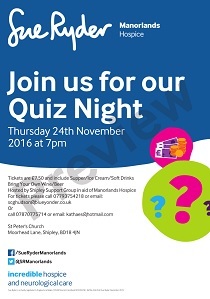 Hosted by Manorlands Hospice, Shipley Support Group. Quick click on image for magnification. Enjoy free music at the fabulous bandstand in Roberts Park, Saltaire, Sundays 2pm to 4pm. 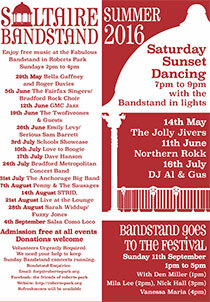 Plus: Saturday Sunset Dancing 7pm - 9pm with the bandstand in lights. Admission free at all events. Volunteers urgently required. We need your help to keep the Sunday Bandstand concerts running. The Arts Trail prides itself in reaching out to new audiences and making art accessible to all by using imaginative venues - the internationally recognised Salts Mill, public buildings, the homes of Saltaire residents and outdoor spaces around Saltaire, to display visual art outside of traditional settings, as well as delivering new exhibitions and commissions. The Saltaire Arts Trail is new and fresh, with commissioned contemporary artwork and with inclusive activities for all. This year the theme is Be Part of The Art and the programming aims to get the public involved in creating art as well as experiencing it. New TV production: are you interested in living like a poor Victorian? Are you interested by the Victorian era and would you like to see for yourself how the poor actually lived? Would you like to put yourself to the test to see if you could make ends meet in the 19th Century Britain? An informative session describing the types of household improvement works (inside and out) which need or do not need Listed Building Consent and/or Planning Permission. Tips and techniques for looking after your Listed Building. A chance to ask questions and take away useful literature. Laura Eastwood, Planning Officer will also be present to answer questions on this topic. Bradford Council spending has reduced by over £172 million since 2011-12 because of Government cuts, increased demand and rising costs. Council tax has also been increased, without which the cuts would have been even higher – around £180 million. Bradford Council has already taken decisions that will see further cuts and savings of £27.4 million being made next year. On top of that we will now need to find another £53 million in cuts, savings and additional income in the next two years, rising to £125-£130 million by 2020. In 2016/17 the council budget proposals include £19,000 which is going to be taken out of the service without closing any Visitor Information Centres. However the budget proposal for the following year 2017/18 requires a further £172,000 to be taken out of the budget which would potentially require the closure of Visitor Information Centres. As part of the Council’s consultation process we are consulting with stakeholders who may be affected by the proposals. You are invited to feed back any views, suggestions or comments which will be used to inform the council budget decision on 25th February 2016. A series of drop-in sessions are to be held in January and February, which will enable us to inform you about the budget cuts and give you the opportunity to comment. With 40+ stalls of vintage loveliness for you and your home including genuine vintage fashion, such as 1940's tea dresses, 1950's prom gowns, jewellery, accessories, furniture, homewares, vintage vinyl, toys, books, kitchenalia and collectables, all from the 1920's to the 1980's.... Not forgetting wonderful teas from Interlude Tea Room & Emporium, This is our BIGGEST and most established event - not to be missed! 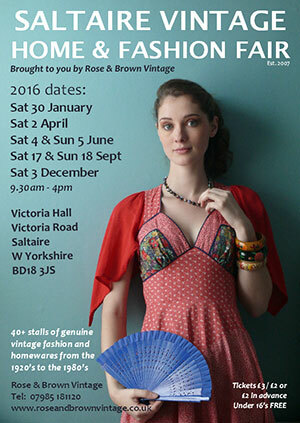 Tickets can be bought in advance for £2 from Rose & Brown Vintage. Call 07985 181120 or email roseandbrownvintage@yahoo.co.uk) or buy here. Under 16's in FREE. Group discounts available. Shipley Writers’ Circle invites local people to participate in a new project, inspired by the message, “Either way, we want you to be happy” posted in the Saltaire Canteen. The group welcomes brand new writers and seasoned authors of every style, genre, age and background. 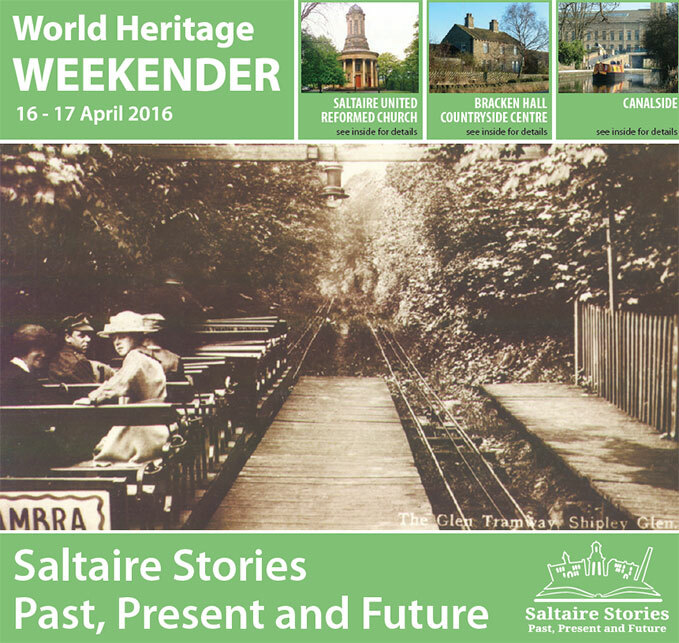 The first project meeting will be held at The Saltaire Canteen, Victoria Road, Saltaire, on Monday 22 February 2016 at 6.30pm. The group will create a series of monologues/short stories capturing moments in the lives of the customers and volunteers at the café. These pieces of writing will then be reviewed and workshopped by other group members before being published on the Shipley Writers’ Circle website. The aim of the project is to bring writers together and focus on a collaborative project, whilst also raising awareness of venues that try to reduce food waste and poverty. “Either way, we want you to be happy” will collaborate with the Freedom Writers Group’s “Alice's Adventures in Armley” project as both groups are linked with pay as you feel cafés that serve food which is intercepted and used before it is thrown away. Project meetings and workshops will be held once every two months, though members will also have the opportunity to take part in various other workshops and events held by the group. 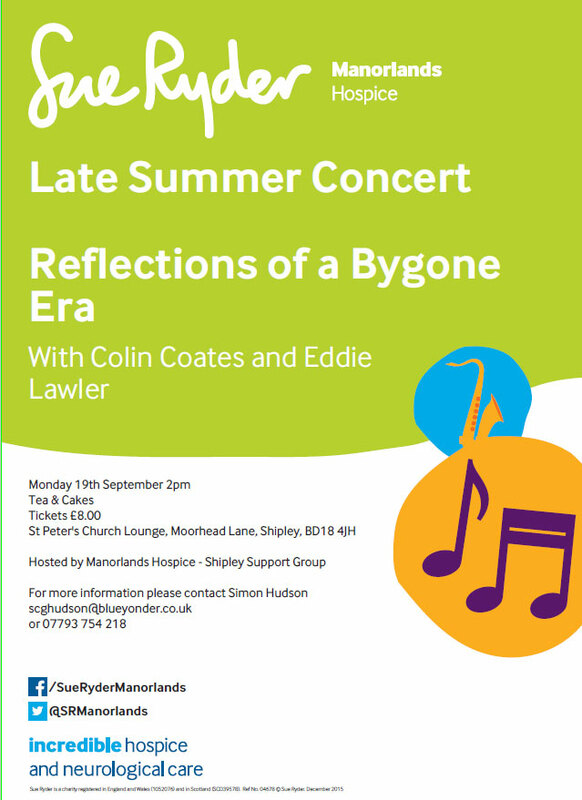 All Shipley Writers’ Circle events are free to attend. The content of this website is archived from 2006. Follow this link for news from other years. This website is run by volunteers. We do our best! The information may be inaccurate or out of date.